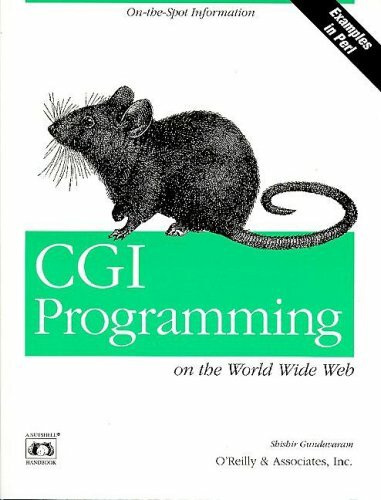 An excellent book for expert programmers, CGI Programming on the World Wide Web doesn't waste time with miscellaneous or frivolous topics, but instead focuses on the workings of the CGI specification down to the tiniest detail. Author Shishir Gundavaram begins by explaining what CGI does -- material that's probably familiar to most people reading this book. Fortunately, he promptly moves on to a complete explanation of each of the CGI methods and environment variables. The author also pays attention to every language you could conceivably want to use with CGI, especially ever-popular Perl. Perl incorporates many advanced features that are not well understood and are rarely used by most Perl programmers, but they are very powerful. One of these techniques is writing functions that manufacture or modify other functions.